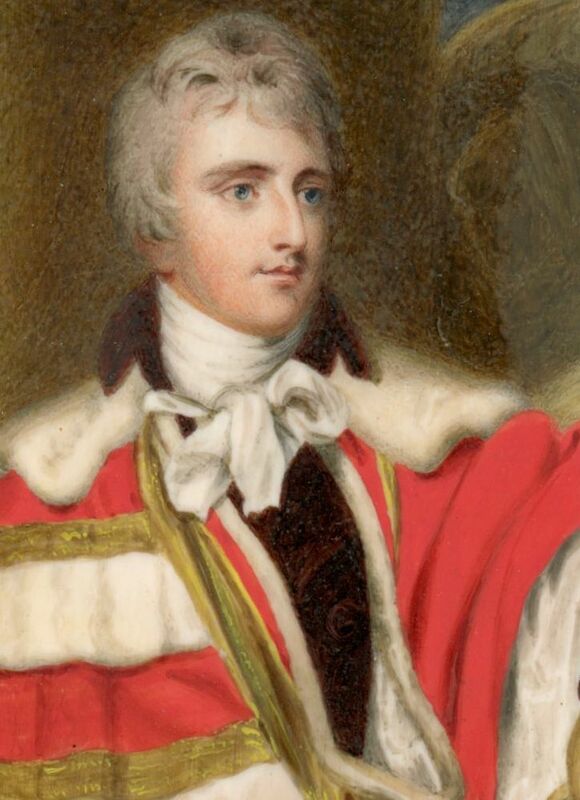 As a member of the British peerage, Peter Leopold Nassau was entitled to wear parliamentary robes of red wool trimmed with bars of ermine and gold lace. The number of bars on the robe denoted the rank of the wearer, an earl being entitled to three bars. Peter Leopold Louis Francis Nassau Clavering-Cowper was born in 1778 in Florence where his father, George, 3rd Earl Cowper, being an avid art lover and collector chose to spend most of his time. He was educated at Eton and Christ Church, Oxford. 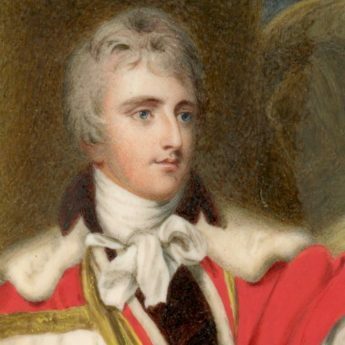 Being the second son, he inherited the Earldom when his older brother died young at the age of 24. Cowper was elected a Fellow of the Royal Society and in 1805 he married Emily Mary Lamb, an influential society hostess. The couple had five children and lived at Panshanger House in Hertfordshire. With a background of classical Italianate columns, the portrait was possibly painted to mark Cowper’s succession to the Earldom in 1799. It is set with a gilt metal mount in a later ornate brass frame. 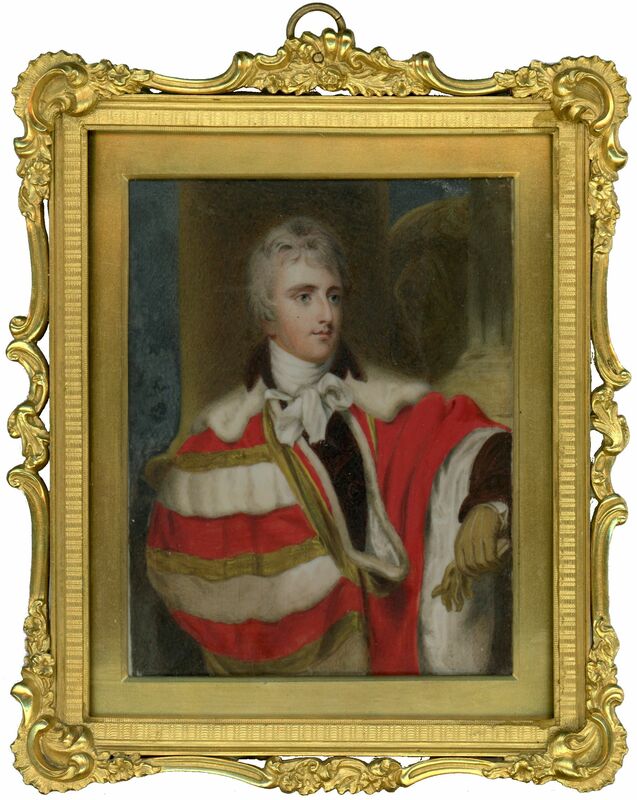 Oil portraits of Cowper wearing his peer’s robes were commissioned from Sir Thomas Lawrence and James Northcote; the former portrait may have inspired this miniature portrait. A later portrait of him by John Hoppner remained unfinished at the artist’s death. Size: framed, 178 x 145mm (7 x 5¾") max.